The Canon EF 24-70mm f/2.8 is simply my favourite lens for most of my photographic work. It is also my first Canon L lens and the one that is on my camera most of the time. I like most of this lens maybe it is a bit heavy but that should be expected from a lens of this standard and specifications. The Canon EF 24-70mm f/2.8 have been with me traveling around Scotland, Ireland and several trips to Europe (Denmark, Germany and Belgium) and the States. I use the lens out in the open landscape in cities and inside. There is no doubt the lens is sharp and work with out flow. If you consider buying this lens you are on the right track. Here is an image from the Holocaust Memorial near Potsdamer Platz and Brandenburger Tor– a place in Berlin I nearly always visit on my trips to my favourite city in Europe. 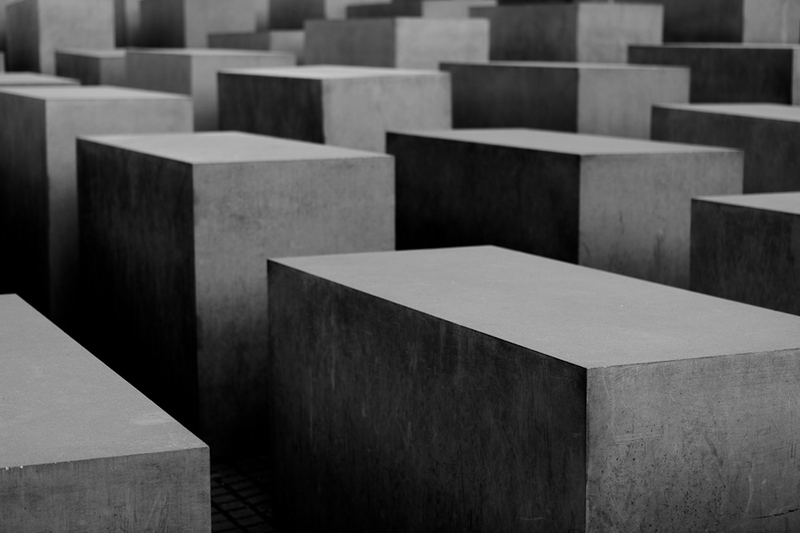 The memorial was designed by the architect Peter Eisenman and consist of 2,711 massive rectangular stones. The memorial lies between the former East and West Berlin. I think its really something particular to walk between the large stones and it really puts things in perspective. I guess it has something to do with the heavy stones — so big compared to you, so cold and between the stones you are really just a small individual unseen from the outside world. Have a look on The Digital Picture site for a in depth review.